Welcome to the Cross Link Radio website! Cross Link Radio is the answer to the age old question, “Is the mouth part of the body?” Host Shirley Gutkowski leads listeners down the garden path of whole health. Listen in Monday, Wednesday, & Thursday mornings at 7:00am CST as your host Shirley Gutkowski talks to her guests about your work, your health, and your leisure. Shirley talks to Dr. Boyd about Darwinian dentistry and how things have accumulated to shrink the face. The food, the way we grow the food, and the way we eat today have all conspired to make changes that affect our teeth and more importantly, our airway. Don’t miss this important episode and share it with anyone you know who has influence in healthcare. Kevin Boyd is a board-certified pediatric dentist practicing in Chicago. He is also an attending instructor in the residency-training program in Pediatric Dentistry at Lurie Children’s Hospital where he additionally serves as a dental consultant to the Sleep Medicine service. sultant to the Sleep Medicine service. Prior to completing his dental degree from Loyola University’s Chicago College of Dentistry in 1986, he obtained an advanced degree (M.Sc.) in Human Nutrition from Michigan State University where his research interests were focused on unhealthy eating, dental caries, obesity and diabetes. Kevin attended the University of Iowa for his post-graduate residency training where he received a Certificate in Pediatric Dentistry in 1988. 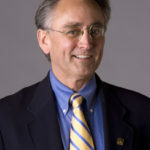 Dr. Boyd has served on the teaching faculties of the University of Illinois College of Dentistry, the University of Michigan’s College of Dentistry, the University of Chicago Hospital, Rush Presbyterian-St. Luke’s Medical Center and Michael Reese Hospital as an attending clinical instructor. He is currently completing pre-requisite course work in Biological Anthropology at Northeastern Illinois University in preparation for graduate study and research in the newly emerging discipline of Evolutionary Medicine. His clinical focus is centered upon prevention of oral and systemic disease through promotion of healthy breathing and eating; his primary research interest is in the area of infant/early childhood feeding practices and how they impact palatal-facial development, naso-respiratory competence, and neuro-cognitive development. He is currently a visiting Scholar at U. Pennsylvania doing research in the areas of anthropology and orthodontics.